First of all I have to note that images do not do justice to this breath taking crystal. Clarity and luster are much better in person. The crystal shows razor-sharp termination and wonderful texture on all faces. 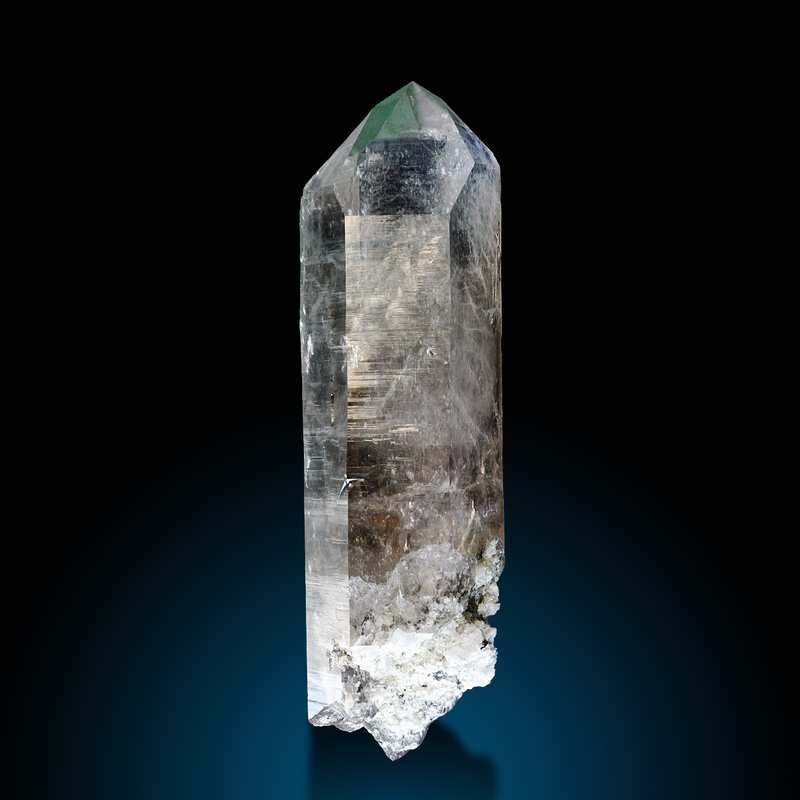 The dark green chlorite layer helps to give more contrast to this most spectacular piece. 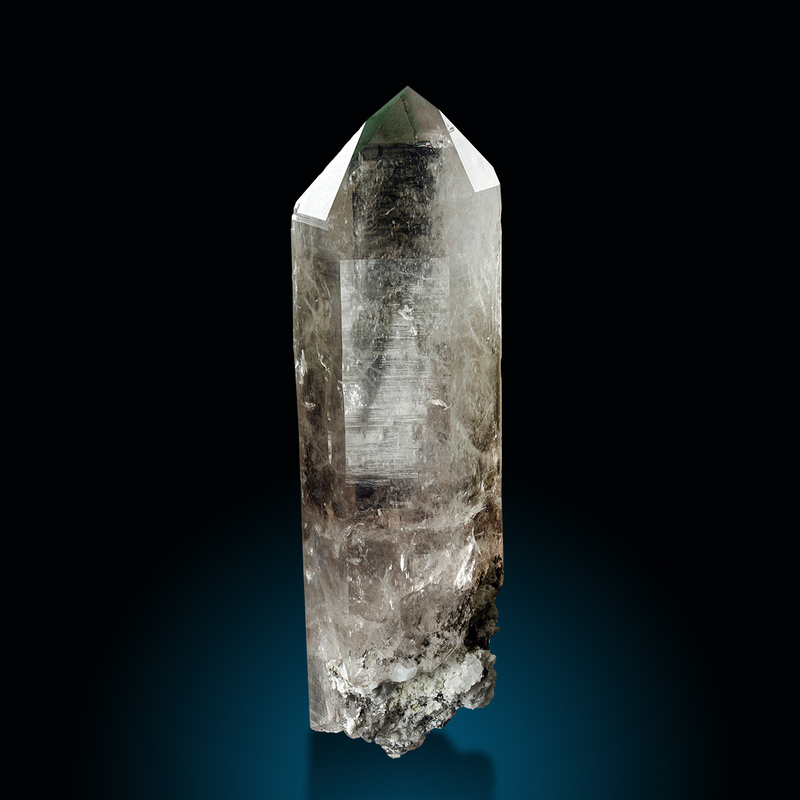 The crystal is very light and nearly colourless and shows just a touch of light smoky colour. Minor matrix is intergrown at the lower base, the bottom is healed and so we can judge this piece as floater. 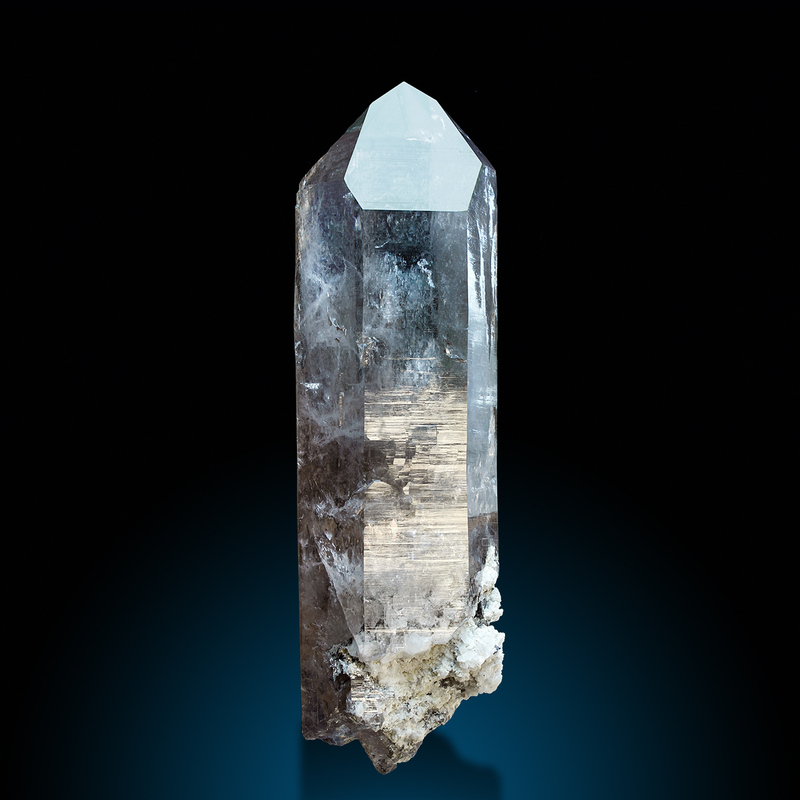 The crystal shows little fuzzy inclusions but in person it is much more clear than you can see on my photography. 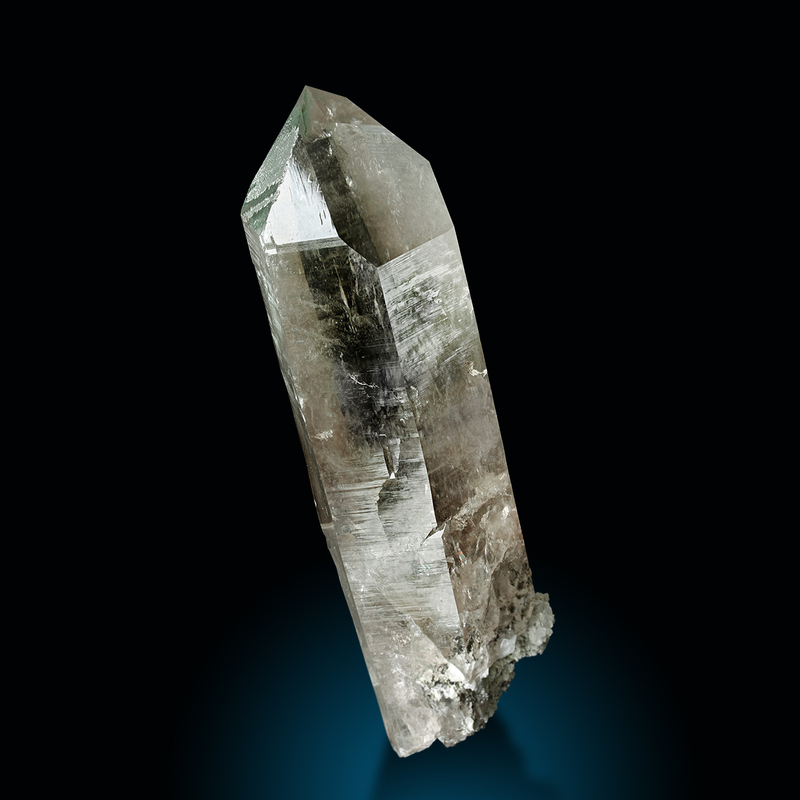 A rock crystal in this dimension and quality is absolutely ecxeptional - even for Switzerland.